I sit down with my clients, take a look at their company's needs and then work out a simple monthly rate that is both fair and affordable for them. I'm here to save you money, not cost you extra with all sorts of fees. I do it all. Hardware, software, desktops, laptops, tablets, phones, servers, cloud services. I handle everything. Consulting is included too. I'll help you save money on services and upgrades for your company. Sometimes a task just takes a little extra time and care to get it completed. Sometimes it's urgent and needs to be done immediately. My rates have no variations. I am here for you and will get the job right the first time. 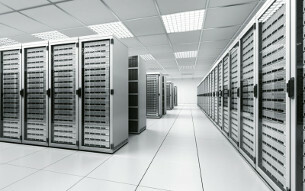 With unlimited offsite data backup protection included at no additional cost to all clients, I backup your livelyhood. 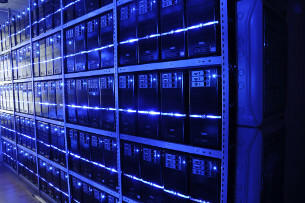 I utilize multiple in house servers as well as my own offsite data backup servers and encrypt and maintain them 100% myself. No outsourcing it to Amazon, google, or any other company. It's my servers and tried and true industry standard encryption methods. Backups are run every night and are automatic and incremental, so if you need a file recovered that was modified a month or two ago, it can be retrieved from the backup archive. Never lose data again. Most small businesses hire an internal I.T. department because they are following in the footsteps of big business. Those I.T. employees then struggle to fill their days with work that will save the business money or increase productivity. Many times they bring ideas to the table that don't have any relevant bottom line impact on your business. This is the I.T. trap and most I.T. departments and employees don't even realize this. They have their 40 hour work week and want to fill it. The last thing they'd tell you is that you don't need an in house I.T. staff. With service from The O.C. Tech, your costs will be much lower than an internal I.T. employee. I'm a text message, a phone call, an email, or a skype away. Ready for you anytime you need me. For small and simple issues, I can remotely support all of your systems right from my office. For bigger issues, I come on by your office (or home office) and work them out with you in person. Paying too much for your web host? How about for your phones or internet? How about for your electric bill? I've run my own businesses since 2001 and have a lot of business know-how and share that all with my clients. I'm happy to help you out wherever and whenever I can. I'm a nuts and bolts guy when it comes to computers. Endless tinkering resulted in breaking my first computer back in 1994. Repairing it was my first success. This is my passion! My first major project was setting up a 15 computer IT lab for a charity halfway around the world. A few years later I started my first business and "officially" joined the IT industry. I've setup countless servers and workstations, laptops and tablets, phones and even point of sale cash register systems. My own personal "on the side" computer projects have tested the patience of my wife at times. Some techs will get a repair or setup done in order to receive that paycheck. For me, it's like a surfer going out for another wave: observing it, learning its course. My customers pay a simple flat monthly rate with no surprises so that I can enjoy my work and take the proper amount of time to finish a project for you. I won't rush through it, cut corners, or miss the fine details. The end result is that I love my work. I love when I need to find a new solution to a new problem. I love the challenge and the reward of its accomplishment.